ADIDAS Shoe FS008 Black & Blue Fabric & Rubber Material Attractive Look Modern Style Flexible Sole Made in Vietnam. 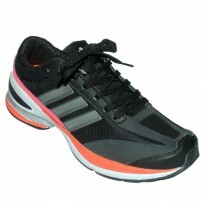 Brand: Adidas Model: FS008 Color: Black & Blue Material: Fabric & Rubber Style: Very attractive look for modern style. Flexible: Flexible sole without rigidity to help the natural torsion of the foot, creating a sensation of well-being. Made in Vietnam.